PORTLAND, Ore. (Reuters) - Radiation from Japan's 2011 nuclear disaster has spread off North American shores and contamination is increasing at previously identified sites, although levels are still too low to threaten human or ocean life, scientists said on Thursday. 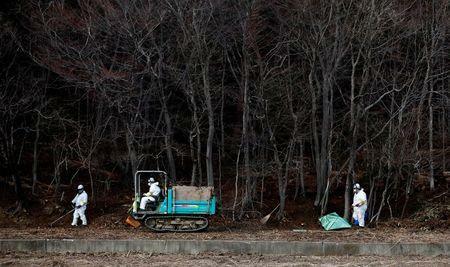 Tests of hundreds of samples of Pacific Ocean water confirmed that Japan's Fukushima nuclear power plant continues to leak radioactive isotopes more than four years after its meltdown, said Ken Buesseler, marine radiochemist with the Woods Hole Oceanographic Institution. Trace amounts of cesium-134 have been detected within several hundred miles (km) of the Oregon, Washington and California coasts in recent months, as well as offshore from Canada's Vancouver Island. Another isotope, cesium-137, a radioactive legacy of nuclear weapons tests conducted from the 1950s through the 1970s, was found at low levels in nearly every seawater sample tested by Woods Hole, a nonprofit research institution. "Despite the fact that the levels of contamination off our shores remain well below government-established safety limits for human health or to marine life, the changing values underscore the need to more closely monitor contamination levels across the Pacific," Buesseler said in an email. In March 2011, a massive earthquake triggered a tsunami that struck the Fukushima nuclear plant, 130 miles (209 km) northeast of Tokyo, causing triple nuclear meltdowns and forcing more than 160,000 residents to flee from nearby towns. It was the world's worst nuclear disaster since Chernobyl in 1986. Last year, Woods Hole reported detectable radiation from about 100 miles (160 km) off the coast of northern California, and in April radiation was found off Canada's shores. The latest readings measured the highest radiation levels outside Japanese waters to date some 1,600 miles (2,574 km) west of San Francisco. The figures also confirm that the spread of radiation to North American waters is not isolated to a handful of locations, but can be detected along a stretch of more than 1,000 miles (1,600 km) offshore.